Unique laboratory equipment for multifrequency measurement and nonlinear analysis. 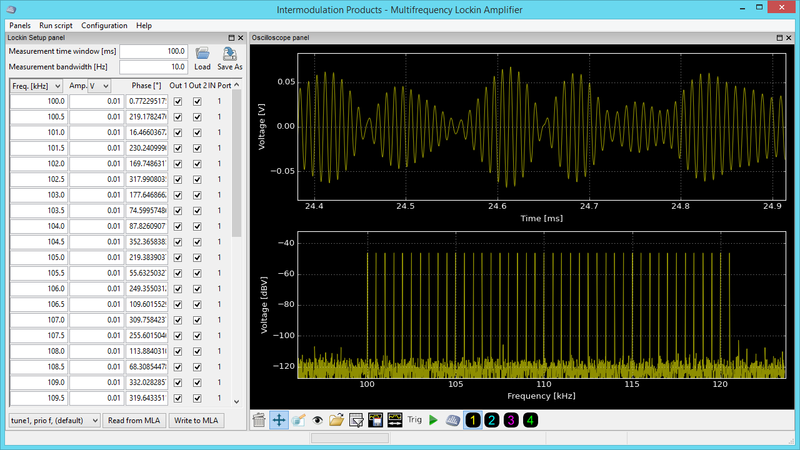 Analyze harmonics, intermodulation distortion, up and down conversion etc. Fully scriptable interface using Python. Surface property maps from arbitrary force models. Use standard cantilevers, scan at standard scan speeds. 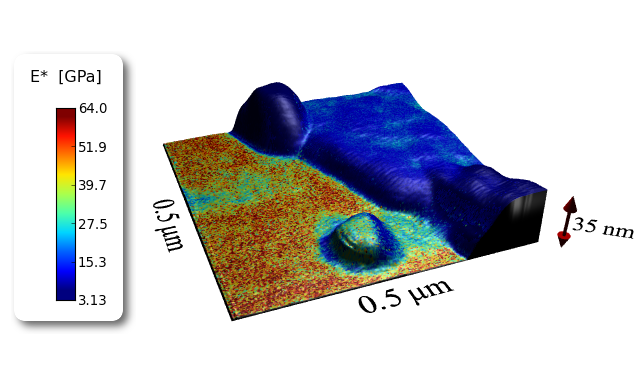 IM-AFM is to me the most exciting hardware+software development in AFM in >20 years. The quality of the science behind a commercial product, as witnessed by the many rigorous journal publications, is unprecedented in the history of AFM. On top of it all is the quick and personable support I have received from Intermodulation Products AB; it makes me doubly excited about applying IMAFM to a whole host of research problems, for years to come. Definitely postpones thoughts of early retirement! With amazing customer service, I have designed several non-standard dynamic AFM experiments thanks to MLA. I would definitely continue to use their services and recommend them to others in future. Thanks to Intermodulation AFM, we were able in our lab to easily get valuable and quantitative information about the nanomechanical properties of soft and nanocomposites materials coming from academic collaborations but also from industrial partners.